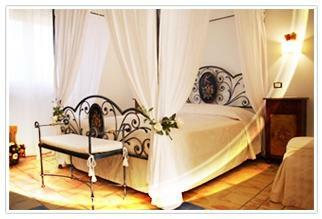 Hotel Kallikoros Country Resort & Spa, Noto. Kallikoros Country Resort & Spa Hotel Noto. If you want to spend a relaxing holiday immersed in the nature, the Kallikoros Country Resort & Spa is the ideal place for you. This marvelous structure lies in Sicily and is encircled by 70 hectares of splendid countryside. The Kallikoros Country Resort & Spa is one of the most exclusive hotels of the area, where our guests can spend really unforgettable stay. All the 44 rooms of our hotel, including Club House and Suites, are accurate down to the smallest detail. Our accommodations are characterized by a modern Sicilian style from warm colors, where our guests can relax immersed in a calming and welcoming ambience. The bathrooms are provided with a spacious shower. Moreover, the hotel places at its guests' disposal further services, like: a big choice of outdoor activities, luxurious restaurant and large wellness centre. Come to transform your business travel in a unique experience of rest at the Kallikoros Country Resort & Spa. Finally, as concerns the gastronomic appointment, our hotel is provided with a refined restaurant, placed in two floors, which can receive up to 140 people. Here you can taste delicious dishes from the traditional Mediterranean cuisine, prepared with cure by or chefs.